This upscale example of Hang-Stand Maternity Body Form Ring Hook is both upstanding and precisely finished. Square-profile Faceouts are quite contemporary in execution and the oversize curves of the Hang Rings contrast nicely. All combine to make for pleasant presentation of Maternity Bodyforms, and stylish Maternity fashions. Consider the pair in the gallery of slideshow images. 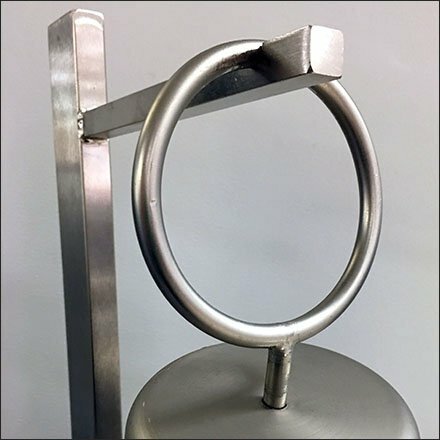 This Hang-Stand Maternity Body Form Ring Hook concept courtesy of Macys, Lehigh Valley Mall, Allentown, Pennsylvania.